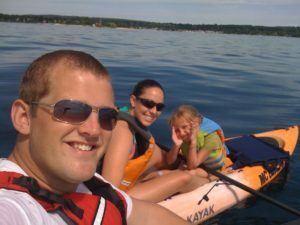 Kick start your summer to enjoy all that the Petoskey and Harbor Springs area has to offer. Boating, kayaking, biking, hiking, golfing and so much more! You will love the 10% discount on lodging and free Trout Creek drawstring backpack filled with summer goodies. For pricing please call us at 231-526-2148 or you are welcome to click the Book Now button, put in requested dates (4 or more nights in June) and the correct rate will be found. This offer is available June 1-28 when you stay 4 or more nights. Not valid with any other offer.